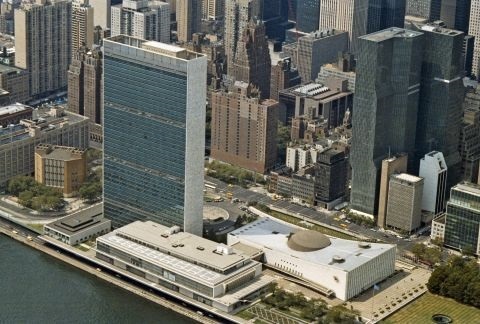 NEW YORK — The United Nations General Assembly yesterday adopted a high-level political declaration on noncommunicable diseases like cancer and unhealthy lifestyle. And while it gives an infusion of political energy to the issue, some are concerned it did not go far enough and are urging strong actions to follow. The political declaration includes commitments to reduce NCD mortality by one third by 2030, and to scale-up funding and multi-stakeholder responses to treat and prevent NCDs. “With just under 12 years left to meet our targets and deliver on Sustainable Development Goals,” Mohammed said that the world will need bold commitment, innovation, policies and plans for implementation, and collaboration to overcome barriers. While the political declaration includes the ambitious Sustainable Development Goal targets on NCDs, including the reduction of NCD mortality by one third by 2030, civil society groups are concerned that the declaration is not ambitious enough (HPW, Noncommunicable Diseases, 20 Sept 2018). “What is needed is commitments to action – and to resources – to reach the targets already set by global leaders for 2025 and 2030. The political declaration will fall a long way short of getting the world closer to those goals,” Katie Dain, CEO of NCD Alliance, told Intellectual Policy Watch. “But clearly new approaches to finance biomedical innovation that delink incentives from prices are needed to bring policy coherence to the twin objectives of innovation and access,” according to the release. The Minister of Health and Social Affairs of Micronesia spoke on why smaller economies need this funding. “70 percent of the health budget goes to treating NCDs, and this puts a strain on an already limited budget,” she said. “Now, for the first time in history, more people are dying from NCDs than communicable diseases, but despite this shift, policies have not shifted in response,” Bloomberg said in his keynote address during the high-level meeting. Bloomberg, who will serve a second 2-year term as WHO global ambassador for NCDs, has done much to address the NCD epidemic, primarily by funding tobacco control measures through his foundation, Bloomberg Philanthropies. Acknowledging the funding gap, Bloomberg noted that some measures to address NCDs do not cost much, and that they may even generate funds, such as increased taxes on tobacco and sugary beverages, and tobacco plain packaging laws. Bloomberg then applauded India, Bangladesh, Uruguay and Mexico for providing examples of how these policies can be successfully implemented. A major theme of this year’s high-level meeting was to “promote multi-sectoral partnerships for the prevention and control of non-communicable diseases and the promotion of healthy lifestyles,” as stated in the event programme [pdf]. During the second multi-stakeholder panel on this theme, representatives from government, civil society and industry spoke on the importance of multi-sectoral partnerships in addressing the global NCD epidemic. A representative of the Netherlands stated that multi-sectoral approaches that include a broad range of stakeholders are nothing new. He noted, however, that involving all stakeholders is not always necessarily a good approach. “The days are gone when the tobacco industry has a seat at the table,” he said. Gerda Verburg, coordinator of Scaling-Up Nutrition Movement, agreed on the need to “strengthen national systems,” and further elaborated on the importance of multi-stakeholder collaboration. A representative from the International Food and Beverage Alliance, a network of leading food and beverage companies, said that they will pledge to do their part, by exploring low and no calorie food and beverage options, along with higher-nutrition options. “We know that more must be done. We must speed up and scale-up change,” he said. "UN High-Level Meeting On Noncommunicable Diseases: A Call To Action" by Intellectual Property Watch is licensed under a Creative Commons Attribution-NonCommercial-ShareAlike 4.0 International License.